Creating a comfortable work environment for colleagues and employees is something that every company strives for. Some companies have a harder time achieving this than others. At LinkNow Media, on the other hand, we feel we’ve created the kind of environment that makes staff feel comfortable expressing their complaints and concerns. What’s the secret formula behind a happy workplace? Unfortunately, there isn’t one. There’s no short-cut to cultivating a space where employees feel comfortable providing feedback. But that doesn’t mean it’s difficult either. A workplace with open dialogues and considerations given to every employee comment comes with patience, understanding, and mutual respect—just like in any relationship or team environment. When employees give feedback, it shows they have a more-than-active interest in the company. When their feedback is taken into consideration, they only feel more invested in the workplace. What employer would want to stifle that sense of dedication? Not us! Employee feedback, whether within the office, or online via review/recruitment sites like Glassdoor, isn’t just great for morale—it’s great for your brand and future recruitment efforts. By promoting anonymous review platforms like Glassdoor, you give your employees the chance to make their opinions heard without fear of repercussions. It’s a great resource, not just for prospective employees, but also employers looking to improve their company culture and management style. Here are some helpful tips courtesy of LinkNow Media. There are few recruitment tools as valuable as Glassdoor. That’s because Glassdoor has the option to for employees to leave anonymous reviews. These reviews can be as detailed as one wishes, or brief and to-the-point. How can an employer or team manager persuade their teammates to leave reviews on these online review platforms like Glassdoor? Fostering a workplace environment where employees feel comfortable speaking their mind is only half the battle. To get clients to take time out of their day to type out their feedback? How’s that supposed to happen? Here’s a scenario: If your company is looking to fill a position in a certain department, having reviews and information on Glassdoor about the position is incredibly helpful, isn’t it? And having the right people apply for the job is especially important for employees, right? Regardless of qualifications, if someone doesn’t ‘gel’ with their employees, it can be a recipe for disaster. the goal is building the right team, every employee should feel invested enough to leave employee feedback and online reviews. 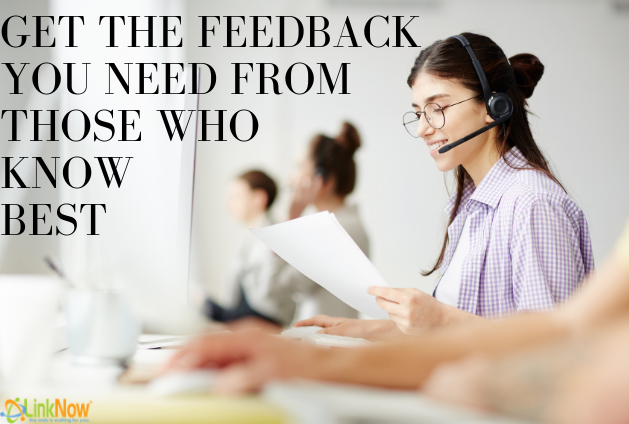 Another great approach to getting employee feedback is by asking newcomers. New to the job, they’re likely energized and wowed by your company’s accommodating atmosphere. Asking them to write about their first day of work on Glassdoor should be no different than writing a customer review on Yelp. These are but a few of the ways companies cultivate a workplace where employees feel comfortable—even eager—to leave online reviews. At the end of the day, it all comes down to having a work environment with a reliable Human Resources team to deal with confidential complaints, excellent team leaders, and an office that feels like more than just a workplace.